Yet, so often sisters, professionals and mothers find it a battle to be able to have a smooth Friday routine where they can get the best out of this rewarding day. Quite often, sisters take their shopping bags with them to Jumu’ah and it takes up lots of space that could otherwise be used for prayer. Try your best to go to the masjid ‘bag-lite’. Go to the mosque and try to take a small bag with only a few essentials. 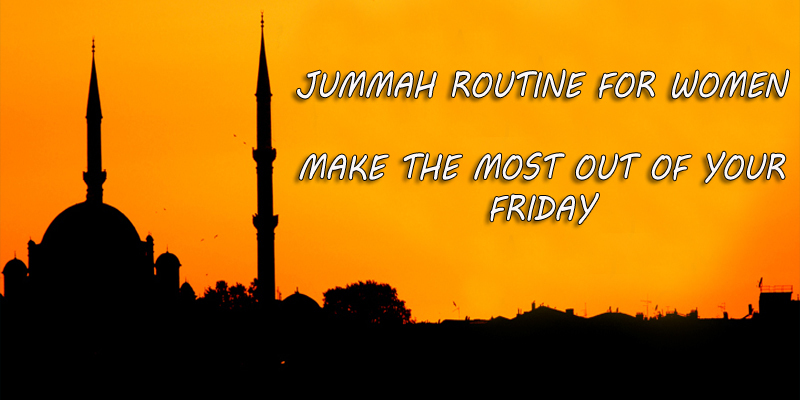 Also keep shoes in a carrier bag, which makes it quick and easy to slip out after Jumu’ah instead of trying to find shoes in that rush after prayer and avoid losing time especially when you have to go back to the office on a Friday afternoon. 2) Reciting “Allahumma salli wa sallim ‘alaa Nabiyyina Muhammad (O Allah send Your praise, prayers and peace upon our Prophet Muhammad), recommended as part of your daily morning and evening adhkaar.